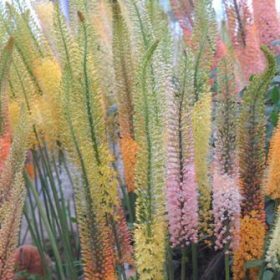 Eremuurs are truly spectacular plants also known as Foxtail Lilies. Ruiter Hybrids are very prolific and our improved Shelford Hybrids with a mixture of colours ranging from pale pink to orangy yellows is simple superb. Majestic summer plant with a spike of white flowers. 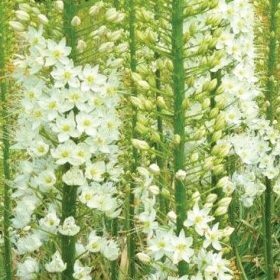 Eremurus are truly spectacular plants and are also known as foxtail lilies.